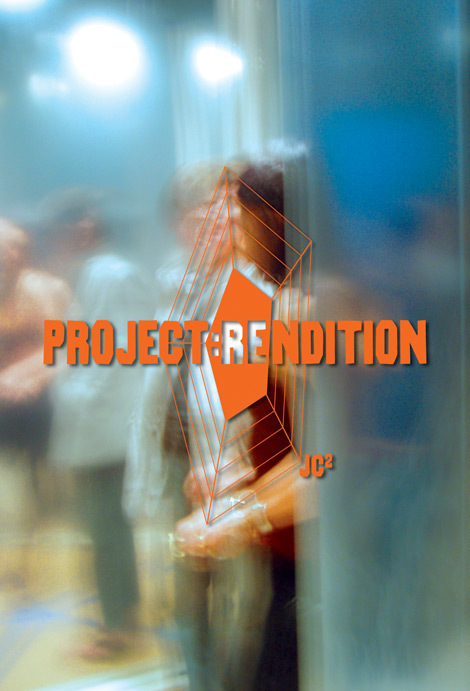 project:rendition is a collaboration by JC2, a group composed of artists Joy Episalla, Joy Garnett, Carrie Moyer and Carrie Yamaoka. The exhibition will premiere on Friday, May 25, 2007 at Momenta Art in Brooklyn and will run through Monday, June 25, 2007.
project:rendition examines the concept of rendering through an installation that incorporates elements of architecture, printed agitprop, audio, and performance in an interactive environment. The project title refers to "extraordinary rendition," the Bush Administration's practice of clandestine kidnapping and extradition of suspected terrorists to countries where they can be interrogated and tortured beyond the reach of the US judicial system. While extraordinary rendition is an extreme form of political repression, state-induced fear and disenfranchisement are far more common means of rendering individuals and whole populations politically mute or existentially invisible. The exhibition revolves around a five-sided structure built entirely of one-way mirror, which functions as an inverted Panopticon or surveillance tower. 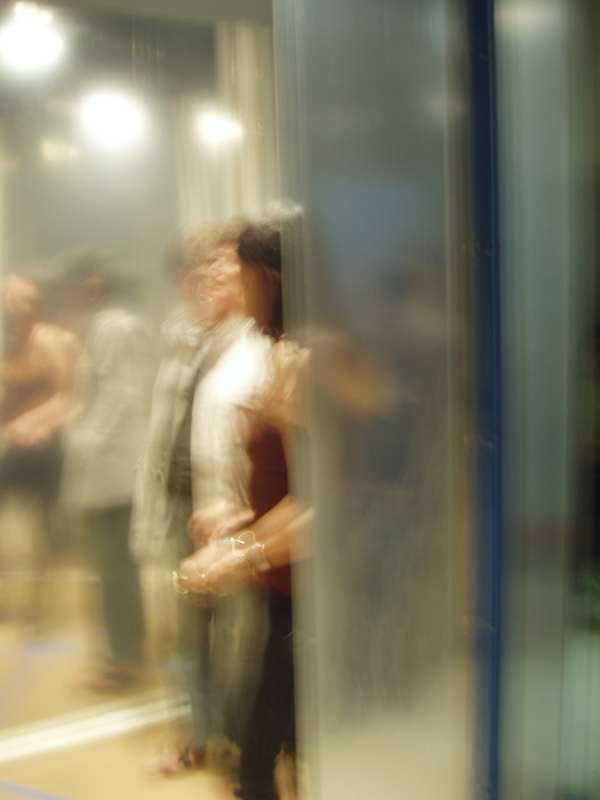 Visitors may either observe those inside the illuminated structure from the safety of the darkened gallery or reverse roles and become potential objects of scrutiny or fascination by entering it. An excerpt from the famous 1630 sermon, "A Model of Christian Charity," written by the first Governor of the Massachusetts Bay Colony, John Winthrop, will be available as a free broadside to visitors. From Ronald Reagan's "Shining City on the Hill" to George Bush Sr.'s "Thousand Points of Light," Winthrop's Puritan text has served as the lynchpin for the philosophy of American Exceptionalism for the past 200 years. Source material includes the following: the TV series I Dream of Jeannie (1965-70); Stanley Kubrick's Dr. Strangelove (1964) and 2001: A Space Odyssey (1968); Ronald Reagan's Jan. 11, 1989 Farewell Address; GW Bush's "I am the decider" speech, aired on CNN April 18, 2006 - 10:00 ET. DIRECTIONS: Momenta Art is located at 359 Bedford Avenue, ground floor, between S4th and S5th Sts. in Williamsburg, Brooklyn. By subway, take the L train to Bedford stop (the first stop in Brooklyn). Exit on the Bedford side. Walk south 12 blocks. By car, take the outside lane of the Williamsburg Bridge to the first exit. Make a sharp right onto Broadway. Drive 2 blocks to Bedford Avenue and make a right. We are located a half block on the right after you pass under the bridge.